The whistles and screams punctuated the silent night like so many nightmares come alive. We’d been expecting the raid for weeks, but when trying to remain civilized, life in the ghetto continued as usual. Just that previous evening, some of the few remaining musicians gathered and played a few songs, lightening the mood of the Podgorze ghetto, if only for a few hours. With rare joy in our hearts and music in our ears, we returned to our overcrowded and dilapidated apartments, and forgot about our plight. Thus, we were unprepared. With no time for families to hide their children or the elderly, every resident of our block was wrenched violently from their beds and marched onto the cold, dark street. Any resistance was met with a bullet, the elderly were gunned down indiscriminately, and crying babies were silenced by a single shot to the head. 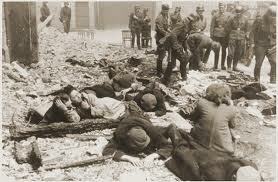 It was our turn to suffer the insufferable…Nazi liquidation of the ghettos. 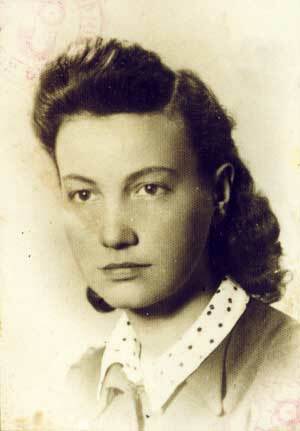 In our apartment, shared with other displaced Jewish families, were a total of twenty one people. There were the Hellers, Itzac and Rita, and their three young children. Three generations of the Goldman family occupied the largest room, Mr. Jan and his mother, his wife and her parents, and their five children. There were also three orphans that we took care of, their parents deported in an earlier round up. And we are the Ackermans, or what is left of us. My husband’s father Abram, my five year old daughter Anna, and me. My name is Helena…and this is the story of my death. With lightning efficiency invoked by terror, we were bundled along icy streets, freezing in flimsy night clothes, such was the speed of the round up. We walked, many of our numbers dying from cold and left where they fell, until we reached the platform of Prokocim station. In the chaos, a father’s anger often got him shot, while mothers clung on to their children with desperate and surprising strength, just as I was doing with my beautiful Anna now…a mother’s arms are strong when her child is in danger. 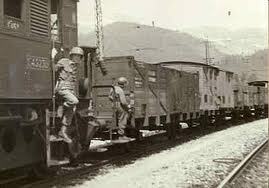 Like cattle, we were herded into wagons that would take us into oblivion. Actually, we weren’t at all like cattle, come to think of it. No, because cattle are healthy and well fed…cattle have a use in the world. In reality, we’d become less than cattle, so dehumanized that we were after nearly a year of sickness and food rationing in the ghetto. From the darkness, blows rained randomly upon us, from SS clubs or rifle butts, and the screams of the guards were the screams of brain washed lunatics. Giant dogs, starved and trained to kill, strained for a piece of Jewish meat…oh how they’d be disappointed with this group of emaciated living dead…though it didn’t deter them, snapping and snarling amid the scent of fear and death. And then came the worst moment of my life. Just as I was lifting little Anna onto the wagon, I was beaten to the ground by two rifle wielding SS men. I screamed for my baby as the blows kept coming, unable to stand and too weak to fight. I was so desperate yet helpless to do anything. Through stinging tears I could see my baby, crying for her mother, the tears of a thousand lost children streaming down her pale, innocent cheeks. Through the madness I saw a familiar face, a pair of strong arms lifting Anna into them. It was Itzac Heller from the apartment. Over the screams and the bedlam, I heard Itzac shouting he would take care of Anna. He smiled weakly, a smile that told me not to worry, that she was with his family for now, and she would be safe. I was trying to stand when the doors of the wagon were slammed shut, and my baby was gone. That was the moment that my heart was finally broken. After months of hope and courage since my husband was taken, I finally realized that our world was being destroyed, and the simple, happy life I had known, would never be the same again. The next moment, I felt arms around me, dragging me from the cold concrete platform towards another wagon, but I was oblivious now, lost in my own grief. I closed my eyes and wished I would die, praying that this nightmare would end. I came to my senses just as the long line of transports slowly pulled away from the grizzly platform, a simple concrete canvas of blood and pain, the latest in a constant flow of human cargo after continuous rounds of liquidation. 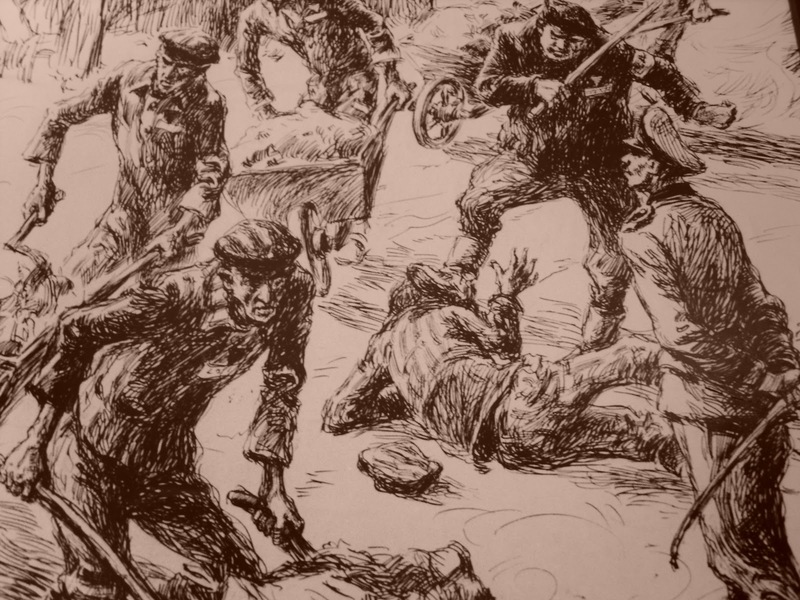 Littering the concrete were the bodies of the dying or dead, irrelevant as it was to the psychotic SS…if you were too weak to climb aboard the wagon, you were as good as dead to the guards, and coldly executed on the spot. Despite the horror of this, those victims were the lucky ones, though none of us knew that yet. I don’t know who it was that saved me on the platform, for I would surely have been shot had I just laid there as I wanted to. But I am not grateful, not at the moment. I wanted to die back there, having lost everything that I have ever loved. My dear husband and my little angel. What has become of them…what will become of me? After a while, the screams of terror and cries of confusion subsided, replaced by an eerie calm as resignation of the situation settled over us. The adults in the wagon started talking in hushed tones, speculating on our destination, discussing the rumors we had heard in the ghetto. 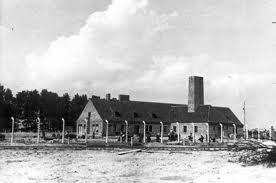 We were bound for Belzec labor camp, one elder said, where we would work until we died. One younger woman suggested that we were being relocated for work, new jobs and a new home, surely better than the ghetto, she believed. Opinions differed greatly, and many believed what the woman had said, that we would be better off out of the ghetto, wherever it might be. Then another man, a well known and respected figure in pre-war Krakow, and now a leader of sorts in the Podgorze ghetto, spoke up. “My fellow Jews,” Rabbi Lazowski began, “I believe that from where we are going there will be no return. We will arrive there, and we will die there. Some of us will die quickly, while others will be put to work until death, but we will die, all of us. I suggest you take the time in this wagon to pray for your families, and pray for the Jewish people, for we will be no more.” One young man spoke up now, scared, his voice weak and trembling. “And the name?” a woman asked softly. The Rabbi began softly reciting the Kaddish, the Jewish prayer for the dead. As others began to join in, speaking as tears streamed from frightened eyes, I’m sure I wasn’t the only one who believed we were saying the prayer of death for ourselves. It was at this time that I regained some composure. I didn’t know where we were going, or what would happen to us, but I vowed that I would see my little Anna again. I couldn’t imagine not ever looking into those beautiful brown eyes one more time, eyes that so many had told me were mirror images of my own. I have to look into those eyes again, and tell my angel that I love her. I must stay alive long enough to do this; I will survive this journey. Internally I spoke this mantra to myself, over and over again, whispering, ‘I will survive; I must survive.’ This new resolve did keep me alive through the night, I am sure of it. It would have been the easy option to give in and close my eyes, never to wake again. It was all I lived for from that moment on…to survive long enough to tell my baby I loved her. Hours later, a deathly silence had descended over the wagon. The quiet, punctured only by the occasional sobbing child and the squeal of overworked wheels on steel tracks, was forced upon us. The fact that we were so tightly packed in, simply breathing became our only objective. I don’t know how many of us were crammed into that wagon…two hundred…five hundred…but I know that it was inhumane, just another Nazi ploy to terrorize the Jews. Already, many of us were at death’s door, after months of sickness and starvation due to food rationing and disease in the ghettos. The weakest of us didn’t last the day in that wagon. By nightfall, twenty seven had died, mostly the elderly and children. Hunger and exhaustion had taken their toll, leaving childless mothers and motherless children. Still I recanted my mantra, forcing myself to fight the desire to sleep, to let death take me. Time was eternal as the hours passed like weeks. Only the crush of those around you prevented collapse from exhaustion, with no space to sit or stretch. That night, our transport was stopped. We were not given any food, and were not told anything of our destination, simply left alone, tormented by our imaginations. People spoke in hushed whispers about their families. Children cried from fear and hunger, a mother’s soothing voice covering her own terror. The air in the wagon was icy, and the sound of the sick coughing was the sound of death. By around three in the morning, all was quiet and still, as if time itself had stopped, and in spite of my own resolve, it was the longest, most difficult night of my life. As dawn arrived, sufficient light entered the wagon for us to realize that many more had died…had maybe been dead all night, held upright by the oblivious mass. 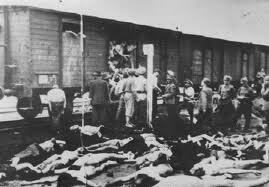 We’d not eaten or had water since the round up, and by the time our transport began the slow roll east, half of our wagon were dead. In total, one hundred and forty five souls had perished within that carriage alone, one of an endless line. The stench of death and human waste was unimaginable, and no tomb could have been more horrific. We couldn’t see beyond the tight wooden slats that kept us entombed within our wagon, but if we could, at precisely 09:23 of January 4th, 1943, we would have seen ourselves pass through a red brick gatehouse onto a long, concrete platform. We didn’t know it, but we had entered the gates of hell…Death Camp Birkenau, where the faint orange glow of death clouded the air. That half had died en-route was no accident: it simply sped up the ‘final solution,’ of which many of us were still unsure, despite Rabbi Lazowski’s tragic statement. When the SS finally opened the doors to the wagon on the platform, some twenty six hours after being dragged aboard, I was blinded by the daylight, and as I stumbled and fell to the stony, cold floor below, I couldn’t comprehend what I was seeing. Those that didn’t make it alive were simply thrown into nearby pits, adding to the piles of hundreds of corpses. Those too weak to climb down unassisted were simply executed where they stood, and fed to the ravenous SS German Shepherd’s, though no shepherding is required when your quarry is served to you on a stony plate. The remains were tossed into the equally ravenous pits of death, shrouded by swarming flies, despite the sub-zero temperatures. 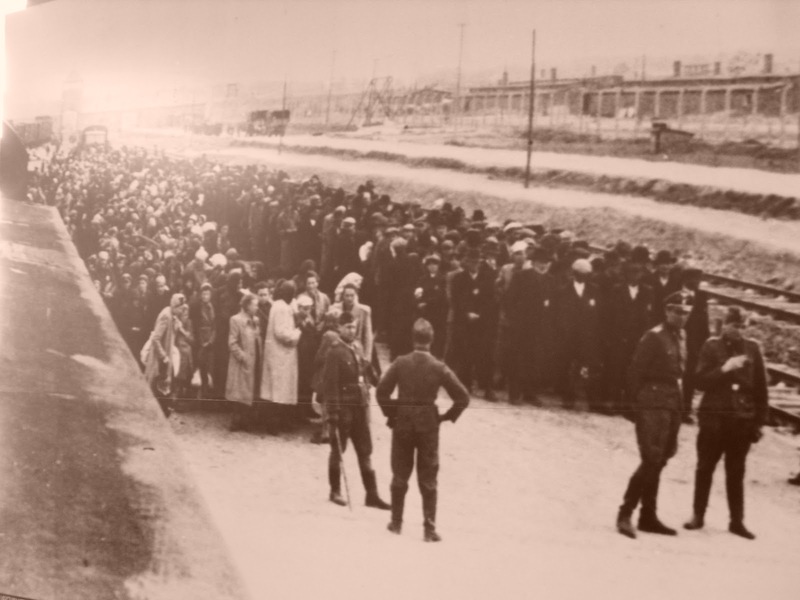 With the SS screaming at us through loudspeakers, we were ordered into separate lines, one line of men, and another of women and children, ready to undergo our first ‘selection,’ though selection for what we didn’t yet know. I could see this same process happening up and down the mile long platform, as more than four thousand Jews had arrived in one single transport. 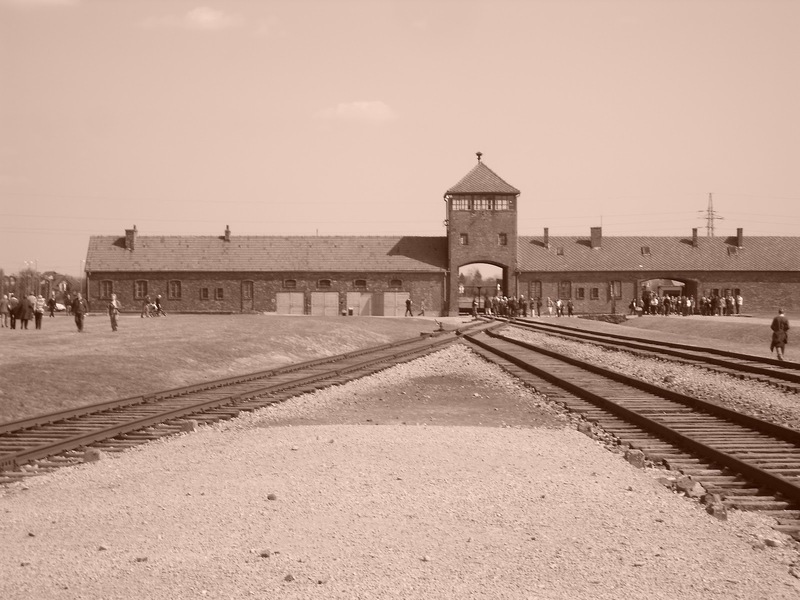 It’s why we had waited the night nearby, as there was simply not enough room to enter the gates of Birkenau, with the machinations of death in full swing. Amid the panic, entire families were wrenched apart, oblivious to the reality that they’d never again set eyes upon each other. Chaos and confusion ruled our lives in those panic ridden few minutes, as we were efficiently ordered into our groups. Anybody that showed resistance was beaten to death, or if they were lucky, shot in the head. With incredible speed and efficiency, the mass of humanity had been pacified, while unrestricted brutality and terror reigned supreme. Impossible as it was to believe, an SS guard told us that ‘everything would soon be alright,’ though the callous smirk on his young, pasty face betrayed his lie. This boy could only be sixteen years old, and here he was wielding a rifle, apparently enjoying himself…such hatred in someone so young…I wonder how many Jews he has beaten or shot? I couldn’t hate him back, though I wanted to. I pitied him, brain washed as he surely was by his Fuhrer. In a dream like state, the women and children that now formed my group were bullied and beaten away from the others, through a series of high, barbed wire fences, terrifying in their simplicity, the screaming guards and snarling dogs our constant nemeses. We were marched into a simple looking concrete structure, frozen from the cold, and sapped of energy. Here we were told we‘d have to have our hair cut off for sanitation reasons. As a proud Jewish woman, I had always treasured my long, wavy brown hair, but within a couple of seconds it was shaved to the scalp…the latest of a series of actions to humiliate us. ‘It’s for your own good,’ the smiling SS woman guard said, though it was the cold, heartless smile of a maniac. This though was just a pre-cursor of what was to follow, the ultimate humiliation for a female Jew. Under the threat of death, we were all forced to strip naked. In thirteen years of marriage, even my own husband had never seen me naked with the lights on…and here I was now, bald, naked and terrified under the indifferent looks of the SS guards. Though we were naked, the male guards didn’t look at us in a sexual way. We were Jews after all, dirty, contagious Jews, mere animals in the eyes of the Nazis. A few of the women around me refused to do this most dehumanizing of acts, and were summarily beaten and then executed on the spot, their bodies hitting the cold concrete in a flash. The young guards took great pleasure with the beatings, cursing as they smashed the butts of their rifles into the helpless victims. “Filthy Jewess,” they would scream, “Dirty Jewish pigs.” Unbelievably, myself and others were ordered to strip the bodies naked anyway, under threat of suffering the same demise. This cold hearted extermination of innocent lives did not seem real, the whole thing like some kind of abstract event, outside of reality, a nightmarish vision that couldn’t even be imagined, such was the horror of it. Despite this violence against those that resisted, the guards at this stage were jovial and quiet, almost dignified. This in some ways was even more frightening to me than the screaming and beatings we’d endured. You knew that they would harm you, those psyched up guards on the railway platforms. Here, the apprehension of what may yet follow was unbearable. It was a deliberate ploy of course, a calculated method of pacifying the masses, who still unaware of what was to come, may revolt from sheer desperation. We were told that we would be showered and deloused, and afterwards, moved into our comfortable barracks from where we would begin our new jobs…our new lives. We were even told we should remember the peg number for our clothes, to make it easier to locate them after our showers. This information, though not good news…we Jews are no longer slaves…did seem to pacify the group. The crying and wailing lessened to sobs and words of comfort, some women even whispered their hope of surviving this nightmare. We were slowly, gently even, ushered into a second underground room, cold and windowless, but with hundreds of shower heads protruding from the low ceiling. The sight of the showers lightened the mood further, as word spread back along the long lines of filthy, walking skeletons, that we really were about to have showers, water with which to wash away the horrors of the previous twenty six hours, maybe even the years of the occupation. As the last of more than seven hundred women and children were huddled inside the shower block, the heavy steel doors were quickly closed, followed by a minute or two of nervous but excited chatter. As the minutes went by uneventfully, the noise level dropped to barely a murmur, as nerves and apprehension of the unknown grew, weighing down heavily upon us. Looking around about me at the hundreds of skinny, hollow eyed women and few remaining children, I couldn’t believe my eyes. There, just a few meters away and crouching by another group of ladies, head shaved and barely distinguishable from the other kids save one feature, was my angel…my Anna. Those huge brown eyes, eyes that could melt any heart, were unmistakable. In a flood of tears I swept over and took her up in my arms, relief washing over me. I had prayed to see my baby alive again, long hours aboard the wagon praying for this moment…and there she was, her dirty face puffy from crying, a bewildered look dominating her delicate features. I was confused…why didn’t she cry out ‘mama, mama?’ Of course! She didn’t recognize me. With no clothes on, and my hair gone, I looked just like every other woman in the room. “My baby, it’s me, your mama. I’m here now, and I love you, I love you so much.” When she realized who I was, the smile that broke on her face seemed to light up the entire room, causing many of those around me to shed their own tears. Finally, as she cried out, “mama, mama,” I knew that whatever happened to us now, we would be together forever, never to be torn apart again. I would hold her tight in my mother’s arms until the end of time. After what seemed like an eternity, suddenly the lights went dead, and we were pitched into total blackness. Seconds later a terrifying hissing sound filled the room…and then the screams started. 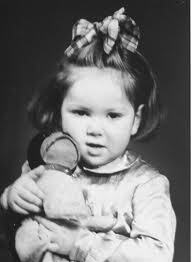 Clutching my baby even tighter, I automatically knew that the rumors about Auschwitz-Birkenau were true…we were not relocated here to begin new jobs and start new lives. 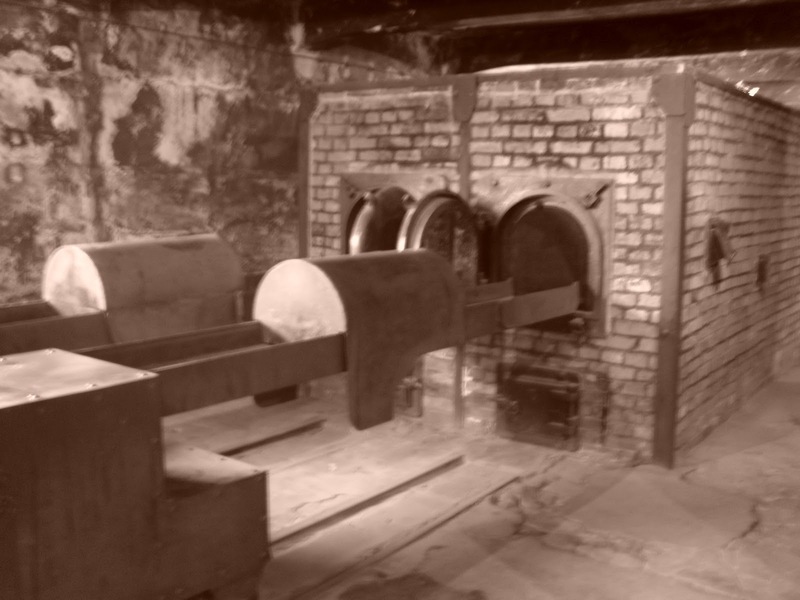 We were at a Nazi Death Camp, and within a few agonizing minutes, every woman and child in this room will have been exterminated, simply because we were Jewish. Turning the lights off above us was to cloak us in a shroud of death. I closed my eyes and sat down, and thought about the family I had lost. My inspirational parents, who mercifully had died in the early days of the ghetto, and did not have to endure the horrors of the last few months…I knew now they were the lucky ones. My loving brother Jerzy, who along with his wife Marian and their three young children, Lucia, Ester and Samuel, were taken five months before in the first round of the liquidation of our ghetto. I wondered what had become of them, hoping that they were okay. But now, undoubtedly, I knew that they were dead. My wonderful husband, my dear Jacob, kind, loving and funny. My hero. I had hoped and prayed that he had survived, that we would be reunited after the war was over. In reality I knew that he had not survived, I knew it in my heart and in my soul. I missed him so much, and he would never again hold me in his strong arms. I thought about all the friends and neighbors I’d had, from school, to growing up in Krakow, and then the last few months in the ghetto. Strangers had become close friends, extended family, a solidarity that could not be broken was formed in those difficult months living side by side in Podgorze. I prayed for them now, as I know they have prayed for me. And, my beautiful baby daughter, Anna, so precious and precocious at just five years old, my angel. As I looked down into her wide, innocent brown eyes for the last time, sat peacefully on my lap on the cold, stone floor, she looked back into my eyes and said, “Mama, I don’t feel well…my eyes hurt.” As my heart broke into a thousand pieces, I said softly back to her, “My baby, it’s OK, your mama is here. Go to sleep now, and everything will be all better tomorrow…I promise.” It was the first lie I had ever told. As I lay back on my concrete death bed, my baby in my arms, I asked God why he had forsaken us, so many of his chosen people. When no answer came, I simply waited for death to save us, holding little Anna close to me in my arms, never to let go, with relief that my beautiful baby girl would not die alone. Steve, I just finished The Death of Helena, and am very impressed with the quality of the writing. Millions of words have been written about the Holocaust, and every one that I’ve read is excruciatingly sad. When I was in Krakow, I did a bit of reading to discover more about the “final solution” and the motivations of Hitler and The Reich. From my reading, I can see that your research on the horrific process was well done. Much of what has been written encourages us to think of the Holocaust as a whole and the 6 million people who were exterminated. But your story’s strength is making it personal. Yes, an army killed millions of people, but the deplorable and inconceivable reality is that day after day, week after week, and month after month, individuals deliberately and systematically took the lives of other individuals. Hey James. Thanks for taking the time to read my story. I’ve actually had to edit it down to 1,500 words for the competition…less than half…but it’s much punchier now, and I think it’s better. That whole period of history is shocking, but it’s not until I visited Auschwitz and the area that I really felt strongly about it. I did read a lot of memoirs before my trip, but nothing prepared me for the cold, hard brutality of walking around the site at Auschwitz and Birkenau. Truly unimaginable acts. Thanks for the kind words, and as ever, they are greatly appreciated.